People enrolled in Medi-Cal are more likely to be younger, financially insecure, and to have unstable housing arrangements, language barriers, mental health issues, and substance use problems. When we think about someone with a serious illness, it’s natural to draw a mental picture. Under the influence of popular culture, including television shows like ER and Gray’s Anatomy, perhaps your mind’s eye imagines an older person who is struggling with serious illness but able to get by with help from a health care team and supportive family or friends. That media-driven image of serious illness differs dramatically from the day-to-day reality of many Medicaid beneficiaries with serious illness. Compared to the Medicare population, which is dominated by seniors, people enrolled in Medicaid (Medi-Cal in California) are more likely to be younger, financially insecure, and to have unstable housing arrangements, language barriers, mental health issues, and substance use problems. 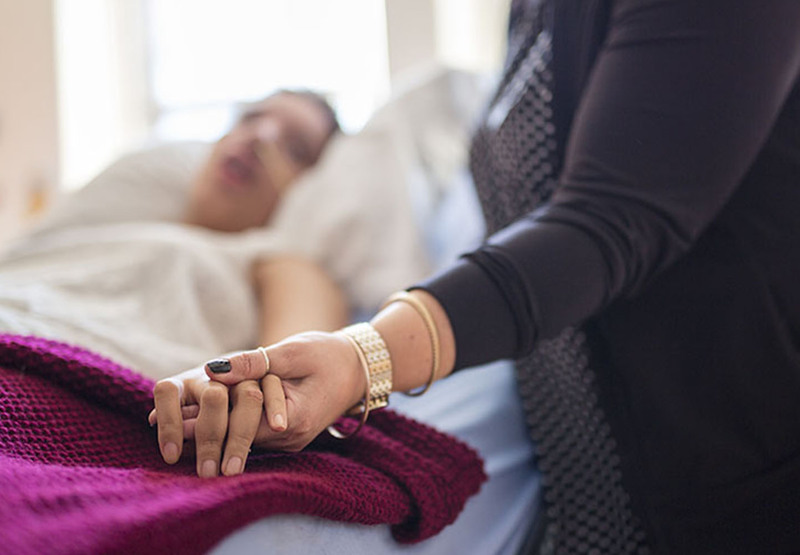 Palliative care is person-centered, goal-oriented care focused on relieving suffering and the physical, emotional, and spiritual stress of serious illness — regardless of age, disease stage, or socioeconomic status. But for people with low incomes or who are covered by Medi-Cal, palliative care programs must attend to a host of issues that are less common for patients with economic resources. Recently the Palliative in Practice blog, which is published by the Center to Advance Palliative Care, featured an article by Anne Kinderman, MD, of Zuckerberg San Francisco General Hospital and Kathleen Kerr of Kerr Healthcare Analytics. Kinderman and Kerr lead the California Health Care Foundation project that helps Medi-Cal managed care plans and community-based palliative care providers implement Senate Bill 1004. The law, which took effect on January 1, 2018, requires Medi-Cal managed care plans to provide palliative care to members who need it. In the article, the authors review innovative government programs and health care system efforts targeting the low-income and Medi-Cal populations. In their efforts to spread palliative care everywhere, Kinderman and Kerr explain that the lives of many Californians on Medi-Cal require service models that address psychosocial needs head-on. They argue persuasively that these approaches require more intensive support, including from social workers, and recognition that patient visits may ebb and flow depending on factors in the patient’s life. Health care practitioners who read Kinderman and Kerr’s full post will find an invaluable resource.